"Two thousand years later, Paul attracts more attention than any other figure from antiquity besides one," writes Stephen Westerholm. Why the fascination with the apostle Paul? Westerholm explains that Paul remains such a compelling figure because he was "a man completely captivated by a particular way of looking at life." Using the themes of the Epistle to the Romans, Westerholm helps readers understand the major components of Paul's vision of life. He delves into the writings of the Old Testament, explores their influence on Paul, and engages contemporary readers in a thought-provoking reconsideration of their own assumptions about faith, theology, and ethics. This insightful introduction gives postmodern readers, especially those with little or no biblical background, a necessary big-picture look at Paul's view of reality. Understanding Paul paperback by Stephen Westerholm;Stephen Westerholm was published by Baker in July 2004 and is our 8391st best seller. 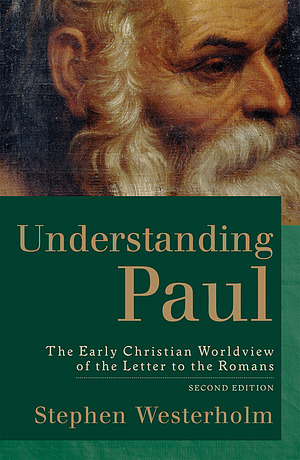 The ISBN for Understanding Paul paperback is 9780801027314. Be the first to review Understanding Paul paperback! Got a question? No problem! Just click here to ask us about Understanding Paul paperback.